To avoid confusion please note that this entry has been updated in May of 2013. Some of the screen captures show older versions of Moebius in use. This mini-entry is a supplemental article for first time Raspberry Pi owners using Windows PCs who are reading my MAME Arcade Game Fun With A Raspberry Pi article. This article not intended to be read stand-alone. On the PC software side of things I use a couple of programs. If installing 7-Zip for the first time you probably will want to change some of the options. 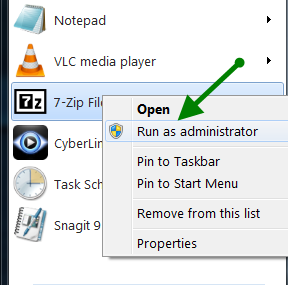 For 64-bit Window users to successfully save setting changes they will need to execute Run as administrator, do this with a right-mouse click on the 7-Zip File Manager program. Launch 7-Zip and select Tools, Options. In the System dialogue make sure tar, gz and gzip are Associate 7-Zip with:. Unless you have a reason not to I’d recommend pressing Select All and using 7-Zip as your default file archiver. You may want to integrate 7-Zip into file explorer, that will allow you to use a right-click to interact with archives using a 7-Zip context menu. Select the 7-Zip tab and select both Integrate 7-Zip to shell context menu and Cascaded context menu, Press OK and close 7-Zip. I keep a directory named Raspberry Pi that houses all my SD card images. This is so I can have any image readily available, to keep backups in-case I break something and need do a Raspberry Pi equivalent of a Windows System Restore. To speed things up I do not use a file archiver to compress the SD card images, rather I leave them in their raw .img state. Instead I use a little known feature and allow Windows to compress the directory. To do this right-click the directory in question, select Properties, General tab, press Advanced and then check the Compress contents to save disk space under the Compress or Encrypt attributes. This shrank the 900 MB Moebius image to use just 322 MB on disk. Download the Moebius minimal image which was at the time of writing is moebius.minimal.image.1.0.1.tar.gz moebius-1.1.0.tar.gz. Move it do your Raspberry Pi image directory and right-click on the file to use the 7-Zip context menu to Extract here. Once extracted you will have a larger moebius.minimal.image.1.0.1.tar moebius-1.1.0.tar archive. 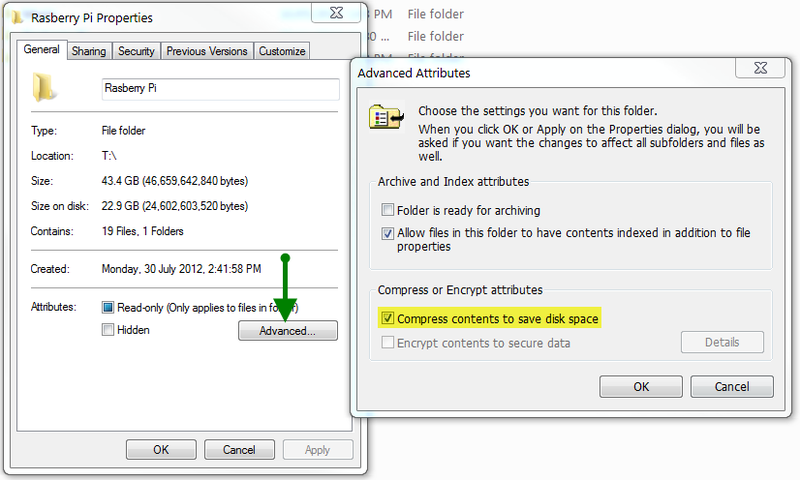 Right-click the file to again apply the 7-Zip Extract here context menu. The extracted image is missing a .img file extension and Windows does not recognise it. Right-click the file and Rename. Add .img to the end of the file name, press [Enter]. Press Yes at any Windows prompt. Delete the moebius.minimal.image.1.0.1.tar.gz moebius-1.1.0.tar.gz and moebius.minimal.image.1.0.1.tar moebius-1.1.0.tar archives if you wish. Copy the Image Writer for Windows file win32diskimager-binary.zip to your Raspberry Pi image directory and use the 7-Zip context menu Extract to win32diskimager-binary. Plug the SD card reader into your PC and run Win32DiskImager.exe which is in the win32diskimager-binary directory. 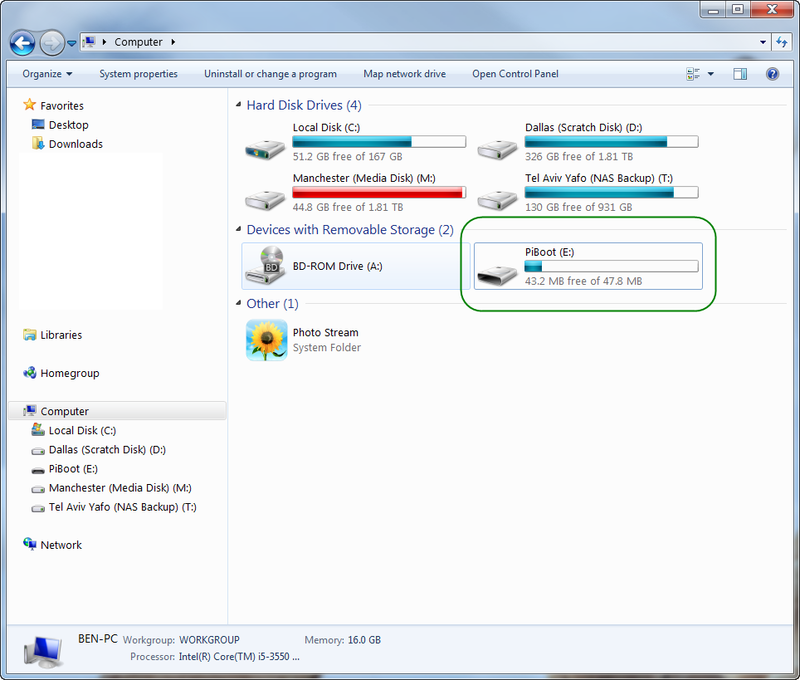 The SD card is given a drive letter by Windows and is under Devices. If you have more than 1 device listed, use My Computer in the Windows Start to find which letter to use. To backup the existing data on the SD card, use the Image File selector to create a new image name and then press Read. 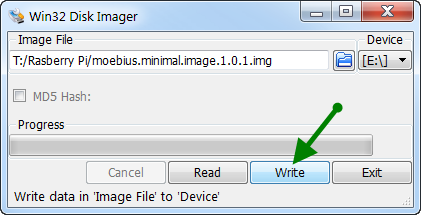 Otherwise to transfer Moebius to the SD card use the Image File selector to choose the mobieus.minimal.image.1.0.1.img moebius-1.1.0.img and press Write. This will overwrite the entire content of your SD card. 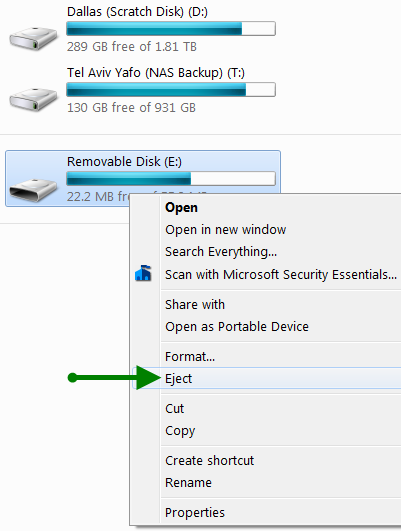 Once the writing is complete, bring up My Computer from the Windows Start, right-click your SD card drive and Eject it. It is safe to remove the SD card from your PC and insert it into your Raspberry Pi. Continue to First Boot in MAME Arcade Game Fun With A Raspberry Pi.